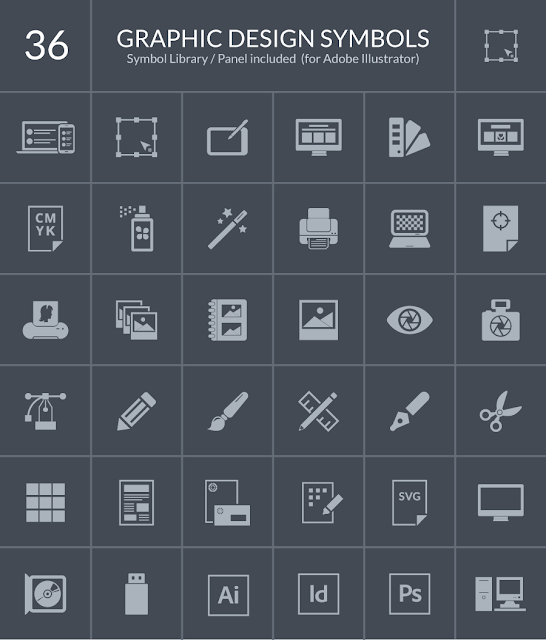 Are you looking for an icon set that's suitable for blog or website? Look no further! This freebie includes 36 Graphic Design Symbol Icons for Web & Mobile that have so many great uses. These icons are useful for any domain related to graphic design, so almost every web design blog on web can use these icons.